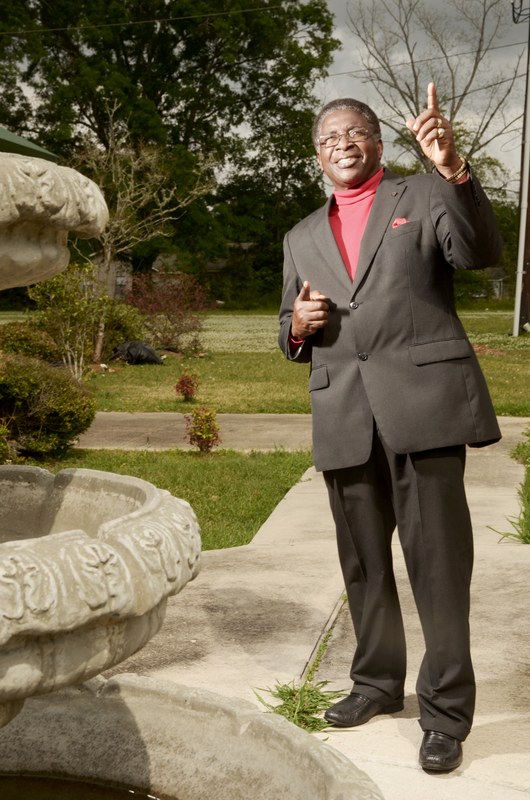 Born Sept. 25, 1942, at Denham Springs, La., Perkins came out of the gospel tradition. The Silver Stars proved to be popular, appearing at local church services and gospel music programs. In 1968 the Silver Stars were invited to record for the Ebb Tide/Ebenezer’s Gospel label. Two singles appeared: “They Call Him Jesus” and “Father Don’t Forget Me.” While Perkins maintained a busy singing career, he also managed to graduate from business college, eventually becoming an insurance agent. Two years later, fate would enter Perkins’ life in a way no one could have predicted. While Golden placed the record with All South Distributors in New Orleans, the label was hard-pressed to keep up with demand for the single outside of All South’s network of retail accounts. In stepped Houston’s Leland Rogers (brother of future country superstar Kenny) who owned Silver Fox, a label distributed nationally by Shelby Singleton Enterprises. 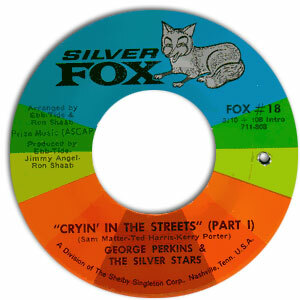 Silver Fox leased the “Cryin’ In the Streets” master, and Rogers’ hooked Perkins up with a booking agent in Nashville. 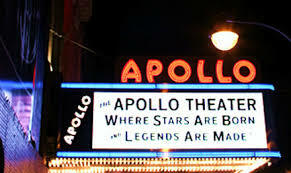 Perkins was proudest of his weeklong stint at the famed Apollo Theater in Harlem. When the dust finally settled, “Cryin’ In the Streets” had spent 12 weeks in the Billboard R&B charts, rising as high as No. 12. The follow-up on Golden was “How Can A Broke Man Survive.” Despite its merit, the record stalled. 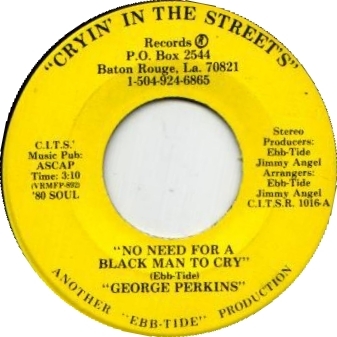 Perkins moved on to Johnny Vincent’s Ace label in Jackson, Miss., even recording the inevitable “Baby I’m Fed Up With (Crying In the Streets).” No hits were forthcoming, and he did no better with a second-line record he cut in New Orleans with Clinton Scott. 1972 saw Perkins signing with writer/producer Jerry Strickland, who had formed the Soul Power label in Shreveport. Despite being perky Southern soul, both singles stalled. 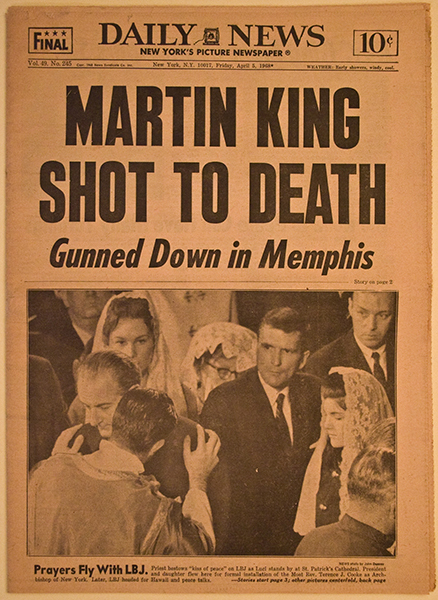 By 1974, Perkins was working for the Royal Shield Insurance Co. in Baton Rouge. The company’s owner not only backed Perkins by giving him time off when he had out-of-town gigs, but also went as far as opening a recording studio (Deep South) and starting a label (Royal Shield) to help promote Perkins’ career. As far as his Royal Shield releases were concerned, there were a couple of nice outing including the churchy “You’ve Been Good To Me,” which featured his old partner Frank Turner. Unfortunately, Perkins’ career seemed mired in the shadow of his original hit, which he even remade on Royal Shield. 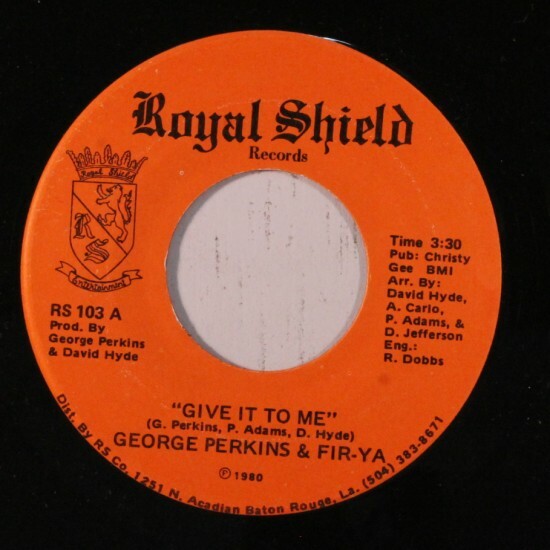 Perkins had a couple releases on his own label, GP, and he bowed out with a release on — you guessed it — the Cryin’ In the Streets label. 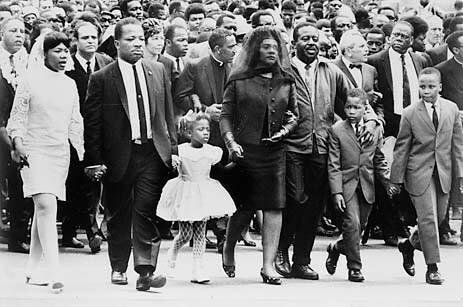 Perkins leaves a wife, three sons, and three daughters. Perkins was also a Hammond city councilman, founder of the Tangipahoa Black Festival and the Tangipahoa Parish African American Heritage Museum and Veterans’ Archive, a respected businessman, and an involved and beloved member of his community. 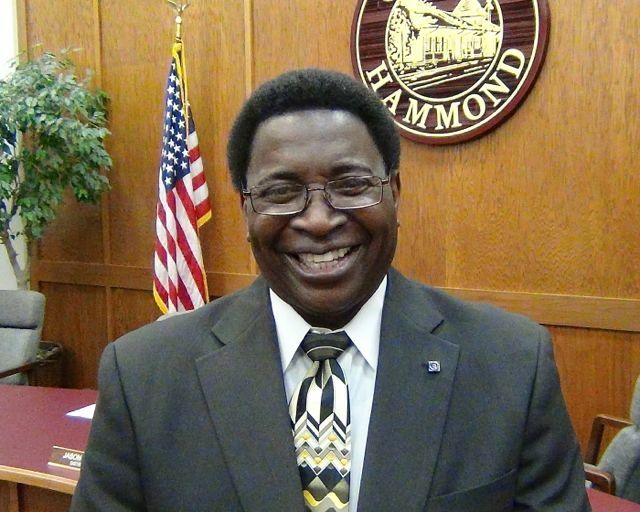 More on Hammond mourns the passing of George Perkins.